Season Two of Nickel City Chef is set to begin early next year, and they’ve doubled the number of episodes to eight. (from four to you who went to “government school”). The program is currently seeking applications from Challenging Chefs and Corporate Sponsors. For those who just can’t wait for Season Two to begin, tickets for Feed Your Soul’s Nickel City Cake Challenge go on sale in early January. Nickel City Cake Challenge showcases the talents of local cake artists by asking three of them to complete the most imaginative and technically perfect themed cake in just two hours–before a live audience. Taking place on Saturday, February 13th, Nickel City Cake Challenge will feature Zilly Rosen from Zillycakes, Susan Spider from Pumpernick n’ Pastry Shops and Tony Concialdi from Panaro’s. In addition to the live cake challenge, guests of all ages will enjoy sipping hot cocoa from our custom hot chocolate bar and nibbling on sweets from our confectionery station. Applications for the amateur portion of the event are still available. For details visit www.FeedYourSoulBuffalo.com. Applications for challengers for season 2 of Nickel City Chef are available here and due 12/23. For the uninitiated, it’s an Iron Chef-style competition pitting local challenger chefs against the “Nickel City Chefs”, Adam Goetz (SAMPLE), Paul Jenkins (Tempo), JJ Richert (Torches), and Krista VanWagner (Curly’s). Nickel City Chef takes place in one of the city’s best kept secrets–a fully restored turn-of-the-century warehouse on Buffalo’s West Side (home to Artisan Kitchens & Baths). Completely outfitted with two competition-worthy kitchens, this unique setting is the ideal location for guests to enjoy snacks and drinks while experiencing this one-of-a-kind cooking competition first hand. The audience watches as the Nickel City Chefs and their challengers attempt to create the three best dishes in under an hour. They will employ classic and modern techniques in order to showcase their skills and the secret ingredient. All of Nickel City Chef’s secret ingredients come from right here in Western New York. Guest judges (from as far as Toronto and Philadelphia) and local food professionals will determine which chef prepares the most technically perfect, creative and delicious cuisine. As a member of the audience, you’ll even have a say by voting for your favorite. I was honored to be one of three judges at the inaugural Nickel City Chef, a local variant of the popular “Iron Chef” series on Food Network. Today’s competition pit Krista van Wagner from Curly’s against Brian Mietus from Bacchus. 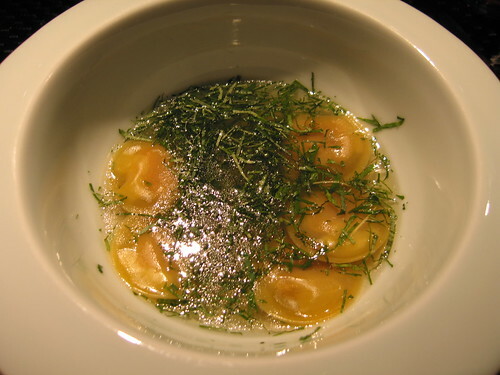 Curly’s is known for eclectic dishes, while Bacchus is more of an American bistro. It was a sellout crowd, and Seabar’s Andrzejewski was not only the color commentator, but also catered the event for the spectators. Bert Gambini was the MC, who did a bang-up job introducing the players to the crowd, explaining the philosophy behind Nickel City Chef, and otherwise keeping things moving. It being the first-ever episode of Nickel City Chef, it was inevitable that there would be a couple of issues with the production. Mics cutting out and feeding back are nothing – during the competition, no one could really see what was happening in the kitchens, and during the tasting, many people couldn’t see what we were tasting. That’s easily fixable with a couple of extra cameras and some long cables. The absolutely gorgeous “kitchen stadium” that Artisan Kitchen & Bath set up in its Amherst Street warehouse has flat-screen TVs throughout. Also, the first 15 minutes or so of the battle don’t lend themselves to much commentary from the hosts because that’s a critical period of time for the chefs, neither of which wanted to give much away to the other side at that point. 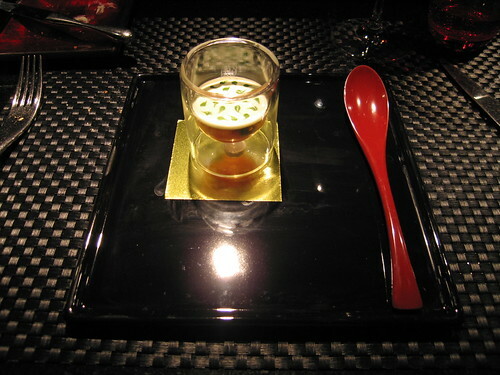 Instead, the secret ingredient should be revealed, the chefs told to begin, and then the hosts can do the introductions. 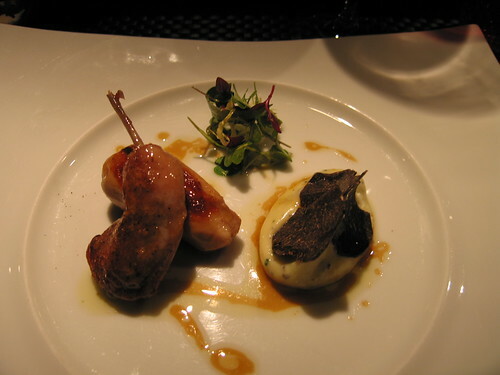 Both chefs prepared food that was to die for, and they proved that they are as good as any chef anywhere. 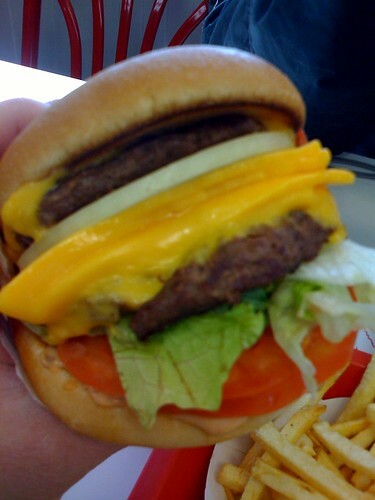 They took one hour to make something extraordinary to showcase a pretty pedestrian secret ingredient. I am proud to have been a part of this not only because I’m tangentially involved in the local restaurant scene, or because I’m a big guy who loves to eat, but because Buffalo’s restaurants and chefs are often overlooked by too many local people. This is a great and fun experiment, and with a couple of production changes, should air on local television once per month. Seriously good show by everyone involved, and a special thanks to fellow judges comedian Kristen Becker and Spiel the Wine’s Kevin LoVullo. (A longer version of this, which includes my detailed description of the dishes each judge served will appear in an upcoming issue of the Buffalo Spree. All of this year’s Nickel City Chefs are now sold out. I dare say this is something that lends itself especially to wintertime, as a great antidote to cabin fever). Buffalo will soon have its own version of Iron Chef, where local chefs battle each other using a theme ingredient. I’m honored to have been selected as one of the three judges for the inaugural battle between Nickel City Chef Krista Van Wagner of Curly’s in Lackawanna vs. Challenger Chef Brian Mietus of Bacchus on Chippewa. WBFO’s Bert Gambini is the host for each battle, and the whole thing is being organized by former BRO food editor, Christa Glennie Seychew. The public is invited to watch the festivities, and tickets are available starting June 12th at Artisan Kitchen & Bath at 200 Amherst Street, and also at Spoiled Rotten at 833 Elmwood. Tickets are $20, and a portion of the proceeds goes to the Food Bank of WNY. Artisan Kitchens is also where the battles will take place, the first being Sunday the 21st at 3:30 pm. For $20, people get a drink and appetizers, sushi, dumplings and little Vietnamese sandwiches by SeaBar’s Mike Andrzejewski at the June date. There’s a cash bar, but no hard liquor. The event is itself designed as an appetizer of sorts, said Glennie Seychew. It ends around 5:30 p. m., so those who find their appetite whetted might seek consolation in a nearby emporium of fine dining. The event will be staged at Artisan Kitchens, a fine kitchen supplier on Amherst Street. Each chef will have plenty of room to work with an assistant in a fully outfitted $100,000 kitchen, Glennie Seychew said. Come down and get your food battle on. Firstly, let me congratulate the Waterline restaurant, which has replaced a somewhat smelly deli at the Waterfront Village. I had a really great grilled turkey & brie sandwich yesterday (which clearly solidifies my reputation as an effete French librul), which came with a mesclun salad. It beats the hell out of iceberg and Wonder Bread. Secondly, given the ubiquitous red brick, mostly mid-80s architecture, and ample parking facilities scattered haphazardly throughout Buffalo’s marina basin area, you could put up just about any old damn thing and it wouldn’t be in or out of place down there. As Sybil Fawlty might say, I’ve seen more intelligent things swimming at the bottom of ponds. I’ve seen better organized things running ’round farm yards with their heads cut off. Quite the negative set of reviews here. I might have to check it out just to see if it could possibly be that bad. My review of Vizzi’s, the winner of Buffalo News scribe Andrew Galarneau’s best burger in Buffalo challenge, is in the current issue of the Buffalo Spree. I concurred with his conclusion. But stay tuned for the next issue, and buy the magazine to see what I had to say about Russ Salvatore’s new place further up Transit Road from his old place. Tonight at La Dolce Vita 1472 Hertel Avenue: free appetizer with the purchase of two dinner entrees Saturday 3/14/09 only. Not good with any other offers or discounts. Whilst those with proclivities of the Catholic variety adhere to the age-old injunction against meat on Friday, the popularity of the humble fish fry grows exponentially. The folks behind TrueblueBuffalo, whom I shall refer to as Paget & Starr, because it sounds like a 70s crime-fighting team or singing duo, would like to know which Buffalo-area fish fry is your favorite (the poll is off towards the right). If not listed, you can add your fave in this thread. Here’s their latest food episode on chocolate. 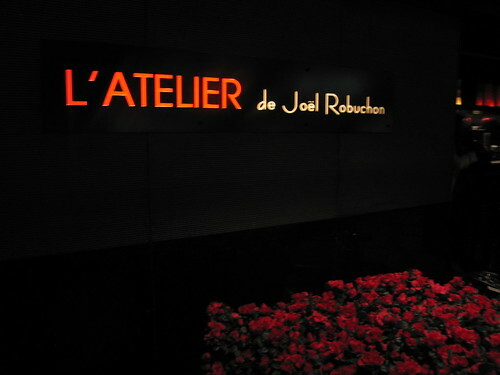 Last night, I Tweeted a simply amazing dinner we enjoyed at L’Atelier de Joel Robuchon at the MGM Grand. 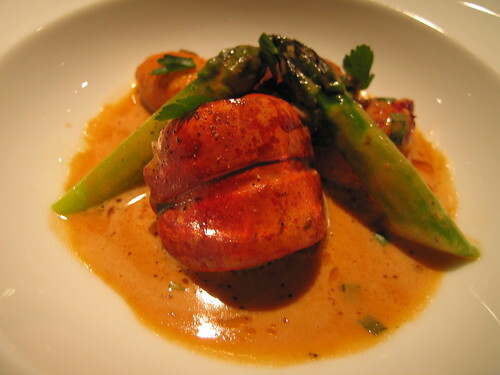 Robuchon is a Michelin-starred chef, and this particular place has one Michelin star – he has another restaurant at MGM Grand, which boasts three stars.